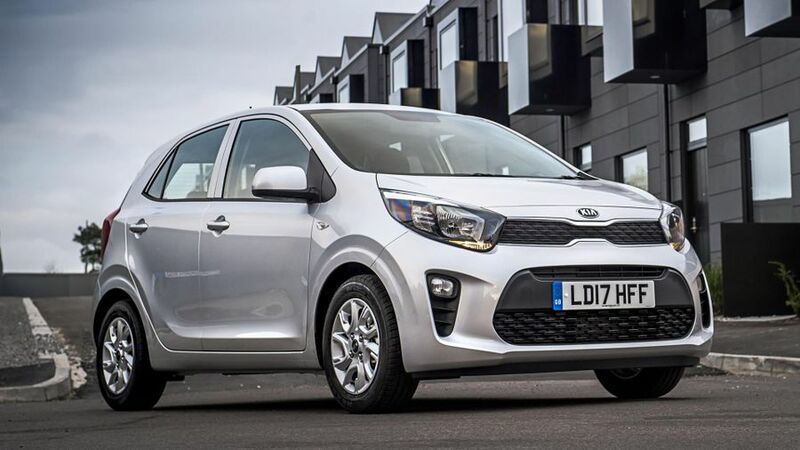 The new Kia Picanto will cost from £9,450, the company has confirmed. It will be a rival for the likes of the Volkswagen Up, Hyundai i10 and Peugeot 108; but, unlike the previous-generation model, this latest Picanto will be available only as a five-door hatchback. However, although it is almost exactly the same size as its predecessor, it has more space inside for both passengers and luggage. The range will include a choice of three engines, two transmissions and five trim lines. As before, these include ‘1’, ‘2’ and ‘3’, but the new range now has range-topping ‘GT-Line’ and ‘GT-Line S’ options. These give the car a sporty makeover, with a bespoke look inside and out, as well as exclusive trim features. 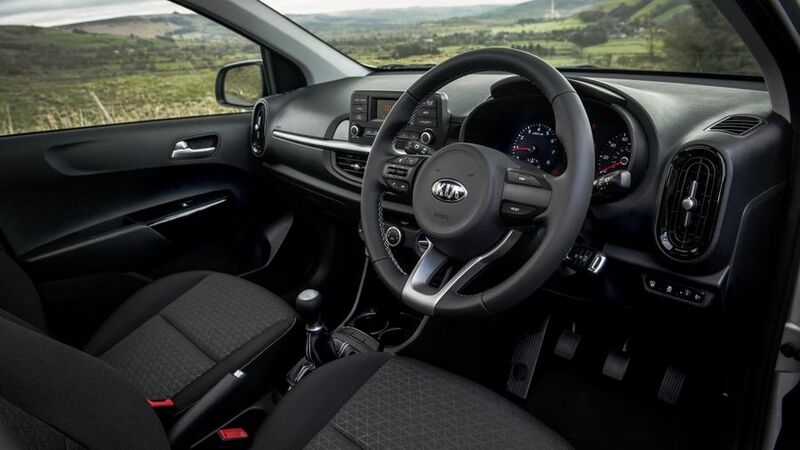 Standard on the basic ‘1’ model are electric front windows, remote central locking, a radio with AUX and USB ports, automatic headlights, Hill-start Assist), 60:40 split folding rear seats and six airbags. Stepping up to ‘2’ (which costs from £10,750) brings air-conditioning, Bluetooth connectivity, a better stereo and alloy wheels. Beyond that, ‘3’ adds Autonomous Emergency Braking, front foglights, climate control, and a 7-inch display that controls the sat-nav and DAB radio, as well as displaying the image from the rear parking camera. Finally, the ‘GT-Line’ and ‘GT-Line S’ models stand out thanks to their bespoke bumpers and side sills, twin exhausts, black and red faux-leather seats, and LED daytime running lamps and rear lights. Unique to the S model are an electric sunroof, as well as heated front seats and steering wheel. 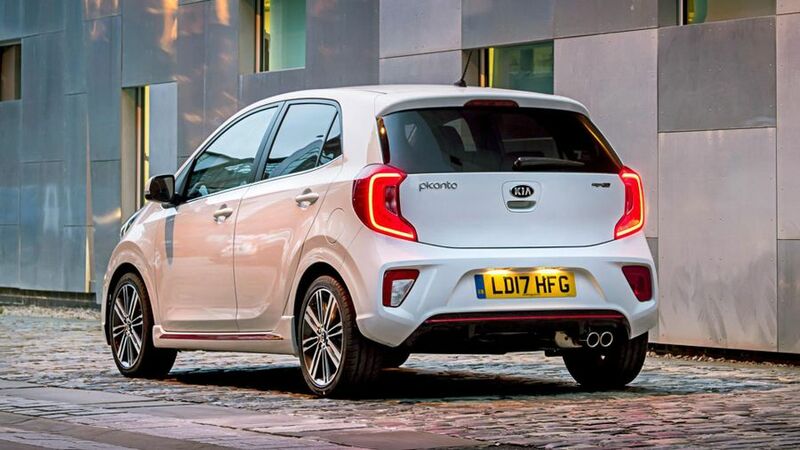 At launch, the Picanto will come only with a choice of two petrol engines – a three-cylinder 66bhp 1.0-litre unit and a four-cylinder 83bhp 1.25 – but a third petrol engine (a 99bhp three-cylinder 1.0-litre T-GDi unit) will join the range later in the year. Of these, the most economical is the entry-level 1.0-litre unit, which averages 64.2mpg and emits just 101g/km of CO2. In common with the other engines, it comes with a five-speed manual gearbox is standard, but a four-speed automatic is optional with the 1.25-litre unit – the only combination which gives average economy of less than 60mpg. Like all Kias, the new Picanto comes with a seven-year/100,000-mile warranty that can be transferred when the car is sold. The full range is on sale now, and we’ll have a full review of the new published as soon as possible.